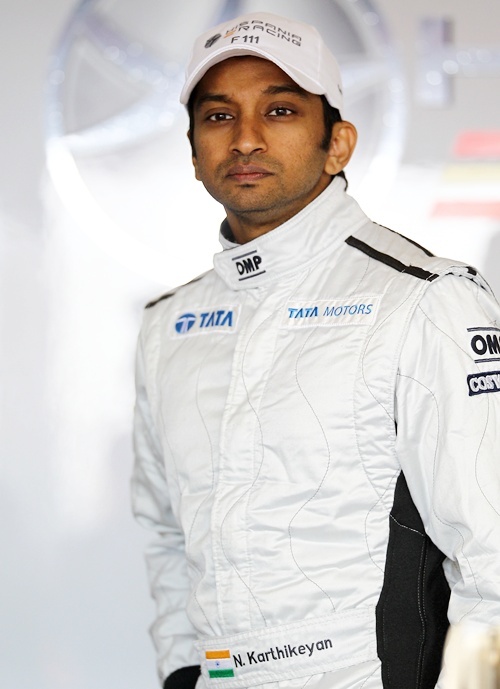 He has faced consistent mechanical issues in his HRT car but Narain Karthikeyan, the only Indian racing in Formula One, says despite problems he has proved that he has the speed to deserve a better team and a better place on the grid. Karthikeyan endured six retirements due to mechanical problems and other issues but he also has a season-best 15th place finish at the Monaco Grand Prix in the 2012 calendar so far. He has also competed well with his Hispania teammate Pedro de la Rosa and beaten him in qualifying in some races. Now that top places have been filled for the next season, and with just one or two places remaining to be grabbed, Karthikeyan feels he has done enough on the speed front to deserve a better seat. As it is expected, Nico Hulkenberg would leave Sahara Force India to join Sauber which means the Indian team will look for Paul Di Resta's teammate. 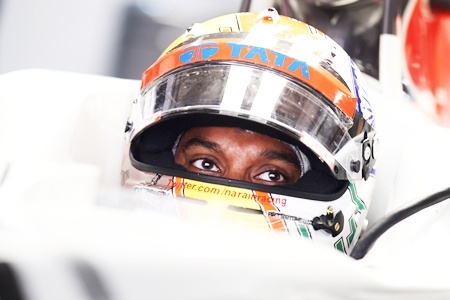 Asked if there is any possibility of him joining the Indian team, Karthikeyan said although he is good enough for Force India, as of now he wants to do well for his team in the remaining four races. "I would definitely like the possibility since I have clearly proved that I have the speed to deserve a shot higher up the grid. But having said that, I think they have their own plans as always so for now I am concentrating on finishing this season on a strong note," Karthikeyan said. According to speculations, HRT will retain Pedro de la Rosa but nothing has been said about the second seat, which Karthikeyan holds. But the Indian has indicated his seat is secured at the Spanish side for the next season. "Right now I would like to stay with HRT for 2013 as we can expect more progress with proper infrastructure which has been in place now. I think it will be decided over the winter once the season is through," he said. Karthikeyan said not being able to have enough practice sessions on the European leg of the season hurt him but overall he and the team has done well under circumstances. "Definitely as a team we have been steadily improving ever since Australia (where they failed to put car on grid), although we would have liked a few more tenths in the car which could have enabled us to fight with the Marussias on a regular basis not just in qualifying but in the race as well." At some tracks we have better one-lap pace, but suffer higher degradation in the race which has prevented us from fighting with them. As for me, missing the first practice sessions in European races didn't help and I had my share of mechanical issues as well. But the second half has been strong," he said. 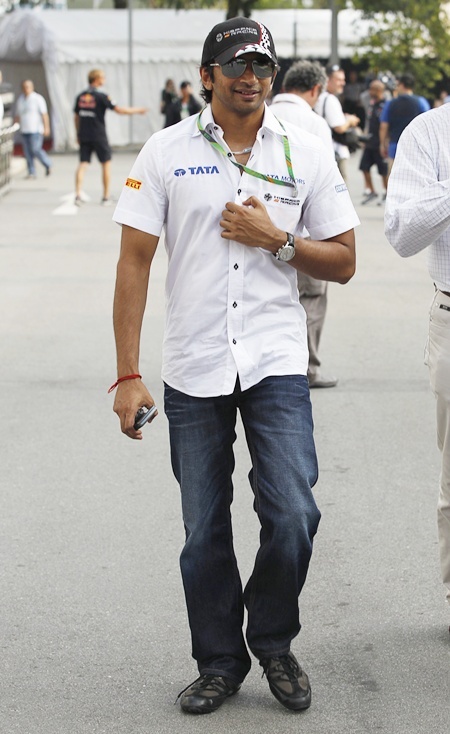 Personally, Karthikeyan is happy that he was at par with his teammate Pedro. "I have been matching and beating my teammate in the qualifying so I am satisfied on the pace front. I had a chance of repeating the performance in Japan and Korea but mechanical issues got in the way -– so I've just been a bit unlucky as well I guess," he said. Now that yet again he will be racing before his home fans at the Indian Grand Prix, Karthikeyan hoped that he will be able to deliver. "I am sure it is going to be a great success, just like last year's event even though it may be difficult to match the buzz and excitement of the first-ever Grand Prix. The organisers have worked hard to iron out the rough edges from last year so I think overall it will be a better experience for the teams, media and the spectators," he said. "Speaking for myself, I have a whole lot of media and corporate commitments ahead of the race but I am concentrating 100 percent on doing my job in the car amidst all that. Yes it is my home Grand Prix but delivering a good result for the team and the fans is more important to me than anything else."